3. What is the RSS feed that Google Reader takes in? List the URL of these RSS feeds. 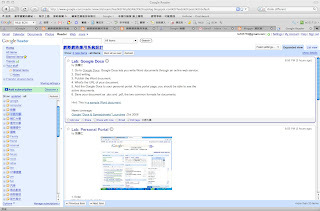 詳情請參閱Google Helps:Can I use Google Reader offline? 短片:"Google Reader in Plain English"